“Everyone at Airbus has been looking forward to this historic moment. Today, we are thrilled to welcome the A220 to the Airbus family and are honoured to see it wearing its new Airbus colours for the first time,” said Guillaume Faury, Airbus President Commercial Aircraft, “I pay tribute to all the women and men at Bombardier and the supply chain who have strived over the past years to bring this fantastic aircraft to the world. 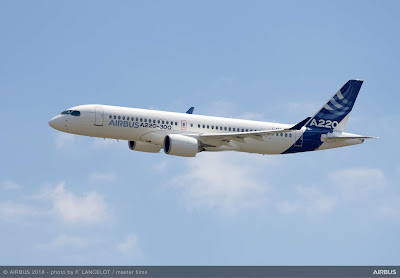 The A220 now enters a new phase in its career with all Airbus’ ressources behind it to further its commercial success worldwide." 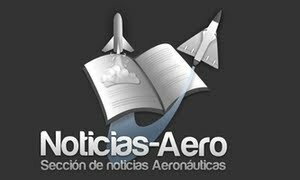 Eric Schulz, Airbus Chief Commercial Officier, added: “We are enthusiastic about selling the A220 thanks in particular to its technology which gives it a decisive edge in a very competitive market. I have received a lot of positive feedback from customers regarding the aircraft’s outstanding passenger experience, its lower fuel burn, lower weight and quieter engines. All these reasons contribute to my optimism that Airbus will support to make the A220 a great commercial success."